This year we are delighted to celebrate the stunningly beautiful Kiki’s Delivery Service on it’s 30th anniversary! There are very few animated features that revolve around the initiation of a young girl into adulthood. Japanese master filmmaker Hayo Miyazaki’s classic 1989 film presents an appealing young heroine who is coming of age in a strange new place. 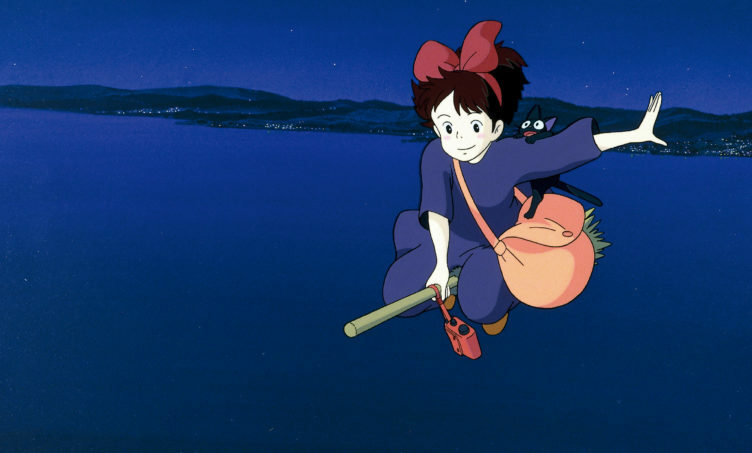 Instead of focusing on the magical power of witches to cast spells or to mix potions, Miyazaki focuses on Kiki’s character development as she finds work and a place to live and meets new people. With a strong sense of compassion and fearlessness she learns “when you fly, you rely on what’s inside of you.” Truly a coming-of-age film for all ages! Starring the voices of Kirsten Dunst, Debbie Reynolds, Phil Hartman and Janeane Garofalo.